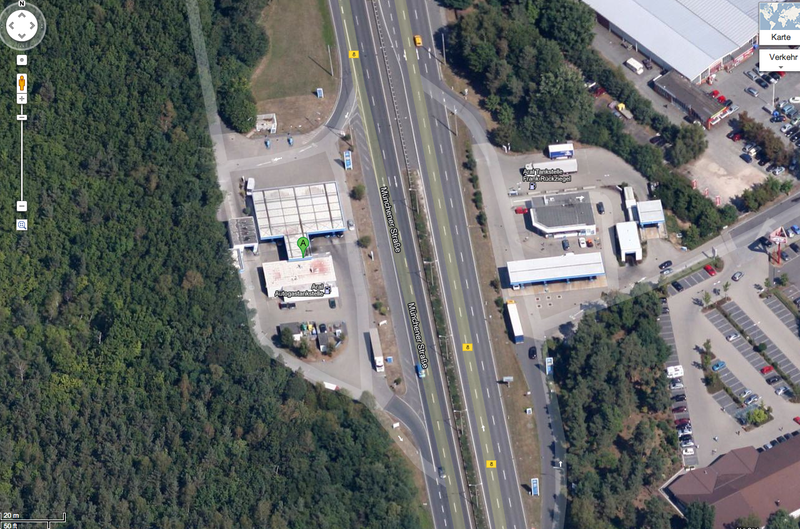 An ARAL Tankstelle (gas station) on Münchener Straße in Nürnberg is an unlikely focal point for a motorcycle event that draws several thousand motorcycles and even more people. Every May 1st is Labor Day in Germany and a holiday. 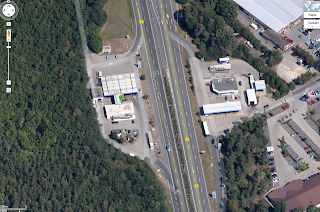 A number years ago (legend says it started in the '70's) a small group of motorcyclists, like motorcyclists will tend to do, decided to meet at the ARAL Gas Station on Münchener Straße on Labor Day and then go on a ride to some place. Each year a few more friends and friends of friends showed up. There was no organizer, and the gathering still has no organizer. Matter of fact it is never advertised, there is no Web Site - nothing. But now several thousand motorcycles show up and many more people than that. Some come to just watch, like we did. So many people come by car to just watch that we parked about a Kilometer away and walked into the meeting area. Because this event has no organizer no one can be held responsible for any problems, but it seems that there are not any problems. The Polizei are present, even Polizei from outside of Nürnberg, but only as a "gesture" and they might do a little traffic control. It's a stretch of about two Kilometers along Münchener Straße that is full of motorcycles, as well as any where else you can park a bike. One lane stays sort of open for people to ride through, make a U-Turn at some point and do it again, or park. The video is pretty long, but if you watch the first few minutes you'll get the idea.